We at Beau Wine Tours love to take our guests to the beautiful estates of Saint Helena! The quaint Main Street and rolling vineyard views make for great eye candy as we travel up the valley. Some of the oldest —and most famous—wineries in Napa Valley have staked their claim in this part of the valley. However, there are plenty of well-kept secrets, too. Join us below on a virtual tour of some of our favorite spots for wine tasting. Trespass Wines is about as “boutique” as a winery can get. Their Merlot, Cabernet Sauvignon, and Cabernet Franc come from a five-acre vineyard. They reside at the base of Saint Helena’s Spring Mountain. The production, owned by husband and wife team Dana and Don Gallagher, is all done by hand, so these wines deeply and distinctly reflect the unique terroir of their estate. The Gallaghers have another set of hands to help–their consulting winemaker is none other than the renowned Kirk Venge! Kirk’s notes on the most recent release of their Cabernet Sauvignon (the 2013 vintage) describe black briar, plum, and black cherry on the nose, with a little clove as well. If you’d like a bottle, we recommend you grab it soon. Only 225 cases were made. About half that many of the Cabernet Franc were produced, a wine Kirk says has the sort of lingering finish only found in very fine wines. But the star of the show is the Rendezvous blend, an estate-grown red meant to showcase the best of each varietal on the estate vineyard. To acquire any (or all) of these Trespass Wines for your cellar, you can try the order form, or join the mailing list. Special events are rare, so be sure to sign up to stay in the know! The wines themselves speak to the way the owners’ marry terroir with creative impulse. Winemaker Tony Biagi is a “postmodernist,” a winemaker who combines tradition with cutting-edge technique. The result is an estate wine portfolio featuring Bordeaux varietals like Sauvignon Blanc, Cabernet Sauvignon, Merlot, and Cabernet Franc. But the Smiths and Biagi are not content to rest on their laurels; they consider their efforts a “vision unfolding,” and as such, the wines released by Hourglass will continue to evolve and change with each vintage. Your wine tasting group is invited to taste and tour at the winery by appointment only, and you can learn more about new releases by joining the mailing list. The Markham story starts in 1852, when Jean Laurent came to join the California Gold Rush, but wound up with a different kind of fortune. 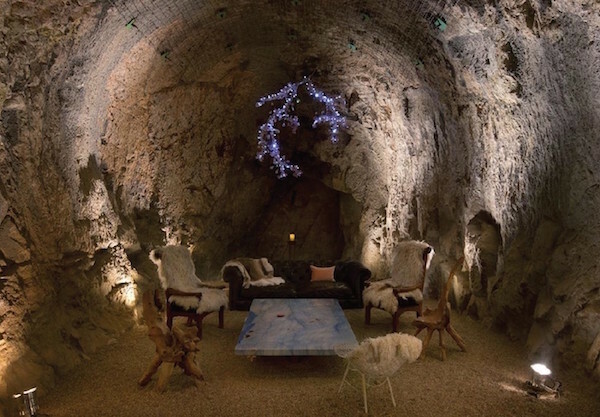 The winery he built in 1874 was so successful that he constructed a stone cellar only a few years later! Since then, the winery has passed through several hands, including those of Bruce Markham, for which the label is named. In 1997, Markham Vineyards earned the Wine Spectator’s title for Merlot of the Year. Recent managers have built on the brand’s already stellar reputation with high accolades and high scores. Markham is often a favorite stop on our wine tasting tours. Your wine tasting tour can choose from these lauded experiences at the Markham Winery: the Classic Tasting, Heritage Selection, or the Food & Wine Pairing. 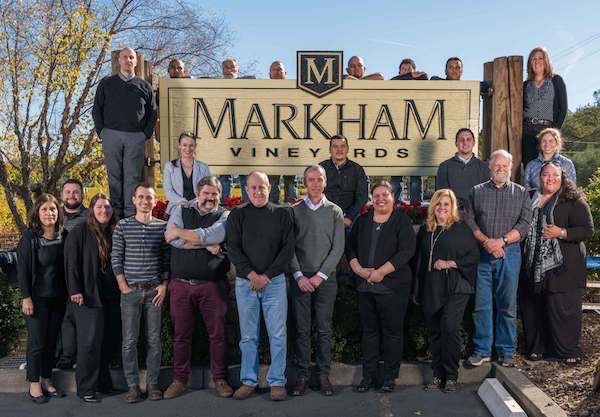 Each experience offers a chance to learn more about the elegant style at Markham, whose wine portfolio includes varietals from Bordeaux, Burgundy, and beyond! Unusual pours like the Petit Verdot and Muscat Blanc offer a huge range of flavors to please any palate, produced from the fruit grown on Markham’s 350 acres of vineyard. These sites highlight Napa Valley’s most sought after appellations, including Calistoga, Oakville, and more. But even more importantly, the sites (as well as the winery) are carefully managed to be as eco-friendly as possible, as Markham is committed to Napa Valley’s future as well as to its past. For those interested in the Saint Helena appellation, Saint Helena Winery is a can’t-miss spot for your wine tasting tour! The small-lot wines produced here are cultivated and then meticulously harvested and sorted by hand, carefully fermented, blended, and aged, all to one end: to showcase the “specialness” of their chosen appellation. Made from thirteen acres of vineyard, all certified eco-friendly by Napa Green, the wines here thrive in three different kinds of “bale loam soil,” essential to the signature terroir produced by these Saint Helena vineyards. Additionally, this precious fruit is in good hands! The winemaking team is composed of Aaron Pott, whom Robert Parker called, “the next brilliant winemaking consultant,” and Lindsey Wallingford, who has previously worked for cult label Screaming Eagle. According to Robert Parker, the current release of the Estate Cabernet Sauvignon, the 2013 vintage, is a “game changer”. This was due to its depth and rich flavors in balance with texture. The 2013 “Sympa” Cabernet Sauvignon offers a big nose with cola, walnut, and earth. Pott uses the French term, “enrober” or “tannins-in-robes” to describe the silky delivery of tannin on the finish! To taste these amazing wines as part of your Napa Valley wine tasting tour, appointments are required, but because these wines are made in such small production, they’re not always easy to get. The winery recommends joining the allocation list in order to ensure opportunities to add the Saint Helena Winery bottlings to your cellar. Crocker & Starr represents a combination of the two necessary ingredients to making great wine: great grapes, and a great winemaker! Charlie Crocker and Pam Starr bring both to the table (and glass). As co-owners of Crocker & Starr, they share the responsibilities of cultivating fine fruit, then processing that fruit to respect both its native qualities and its potential in a wine glass. But don’t imagine that means they engineer the unique terroir of Saint Helena away from the finished product! The winemaking process Starr uses is gentle and respectful of the fruit, just as Crocker practices sustainable and earth-friendly farming methods on his 85-acre vineyard just south of the town of Saint Helena. The winery’s portfolio features Bordeaux varietals like Malbec, Cabernet Sauvignon, and Sauvignon Blanc. To try a flight of these carefully crafted bottlings, your wine tasting tour can choose from one of three fantastic tastings. When pressed for time, the Farmhouse Porch Experience gives you a brief but intimate introduction to the winery. Its location is adjacent to the property’s restored farmhouse (originally built in 1918). The Vineyard Experience offers a tour in addition to a seated tasting at the property’s Garden Arbor or Stone House. For the most complete experience of Crocker & Starr wines, try the Al Fresco Experience; it builds on the Vineyard tour yet adds a guided pairing of cheeses and charcuterie to the tasting flight. Of course, these tastings are very popular, so Crocker & Starr recommends making an appointment for the experience best suited to your wine tasting tour.